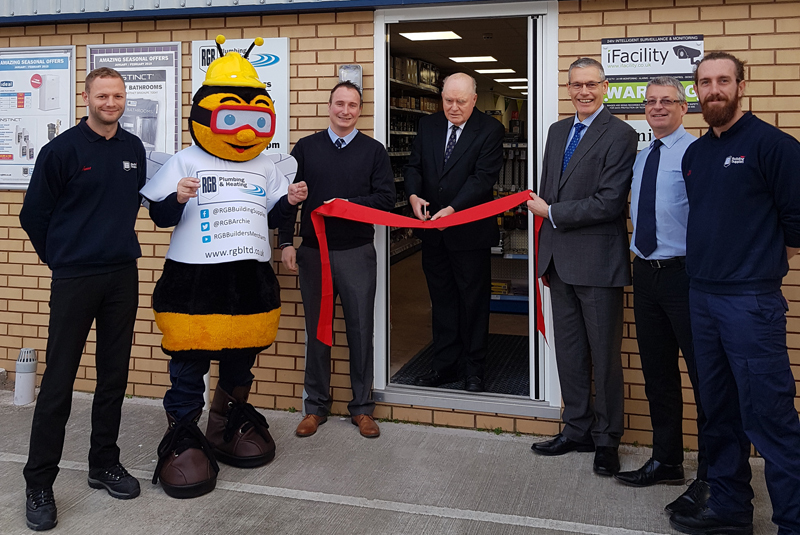 RGB Building Supplies’ new Dawlish plumbing and heating branch was officially launched on Monday 14 January by Chairman Colin Worth, cutting the ribbon to kick-start a week of celebrations. Throughout the week, RGB’s dedicated plumbing and heating branch was joined by leading industry names, Strom, Joule, Maincor and Henrad, to help offer members of the local community expert advice on a wide range of products. Special offers were also available, as well as free treats including pasties, pizzas, sausage rolls and chocolate. RGB Dawlish is located in Unit 5, Matthews House, Dawlish Business Park and supplies a range of plumbing and heating supplies including boilers, radiators, pipes and fittings, cylinders, controls, filters, and chemicals.